There are 23 Catalogs of the Municipal Archives of Saltillo that can help you in your genealogy research. In this post, you can obtain a copy of each of them. I am sharing this in case that you have many ancestors from Saltillo, Coahuila, Mexico. The following 23 eBooks Cataloging the Municipal Archives of Saltillo contain a wealth of information and I highly suggest that you download them all when you get a chance and add them to your eBook genealogical library. If you don’t have one yet, this collection is the perfect excuse to start it. These eBooks are made up of thousands of very short synopsis of the documents that are located within the Municipal Archives of Saltillo. They are a great reference to see what is available in regards to our ancestors. You can use them to tell a genealogist exactly what and where to look for a specific document. For example, there are some documents in regards to my ancestors Alberto del Canto and Bartolome de Cuellar. 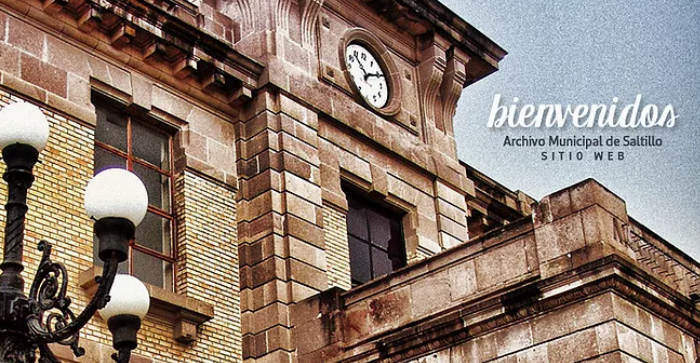 I also want to thank Archivo Municipal de Saltillo for emailing me back and forth during their redesign of the catalogs page. Please click on the above image to visit this website or click on the desired link bellow to download the desired catalog. Enjoy and have fun, let me know of any great finds. Can you please put the source for the Saltillo “e-books”? Thanks. Thanks for reminding me Janet, I had totally forgotten. Unfortunately these catalogs do not indicate author or publisher but they are all found under the website belonging to the Archives of Saltillo. More than likely it was a government sponsored project. I already noted the source on the post. Thanks once again. Thanks for the diffusion of our catalogs. We just send an email to your inbox. Thank you for your email and the updated information. Your website looks great and thanks for providing us with this wealth of information. Hello Mioses Garza ,on your recommendation of your books and E-books great stuff. thanks for all this Information..
Glad you liked them. They are a wealth of information. Make sure to download them and save them. You never know how long they will be available online. Thank you for this information. I’m researching for a Texas history manuscript I’m preparing that leads me to seek information, if any, about one Santiago Del Valle who was a resident of Coahuila and member of the Congress Constituyento of the State of Coahuila and Texas in 1825. My goal is to assemble biographical information more detailed than available on Del Valle in the Handbook of Texas. My research on him so far has yielded very little data. Can you recommend any researchers familiar with resources in Saltillo that I might reach out to that could assist me on this effort? Sorry but I don’t and everything I do is online.